"Music at the Merceria." Old Havana, Cuba. 18x24 inches. Oil on stretched linen canvas. We spent one day in Old Havana, Cuba and I was determined to come and home and paint the beautiful people and places of Old Havana. 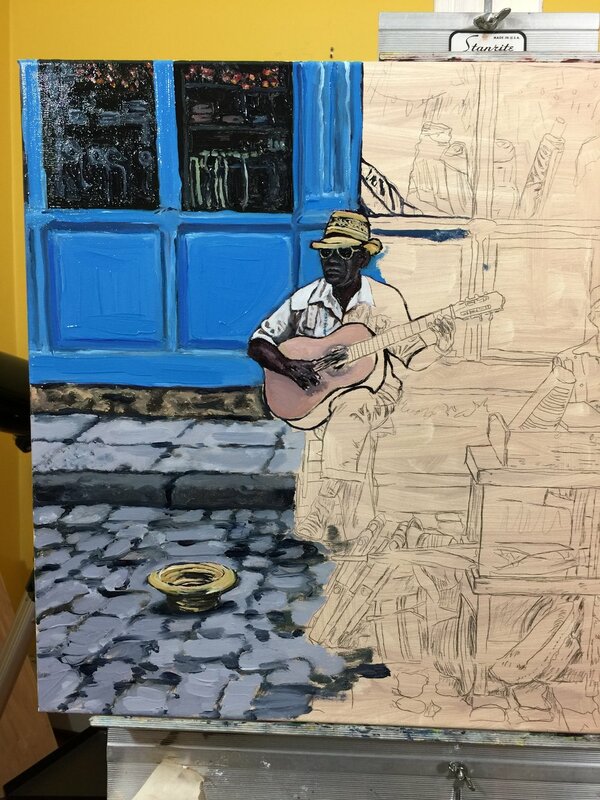 I am painting these musicians because I want to share with you the color, beauty, and culture of Old Havana and its people. Enjoy my work, please take the time to hear the music, see the color and think of these fine musicians lending their time and talent to each passerby. A very hot day in July. I trained into Center City to drop off a painting at the Sketch Club and also scouted out scenes of kids playing in the fountains around town. There is nothing as universal as the pleasure of getting your feet wet on a hot and humid day! Kids are chasing each other, chasing the fountains, and splashing each other. Even some of the adults are barefoot! A fun moment in the public parks of Center City Philly. The composition for this painting took me a long time, but the painting is moving along. I am loving the juxtaposition of the blues and yellows. 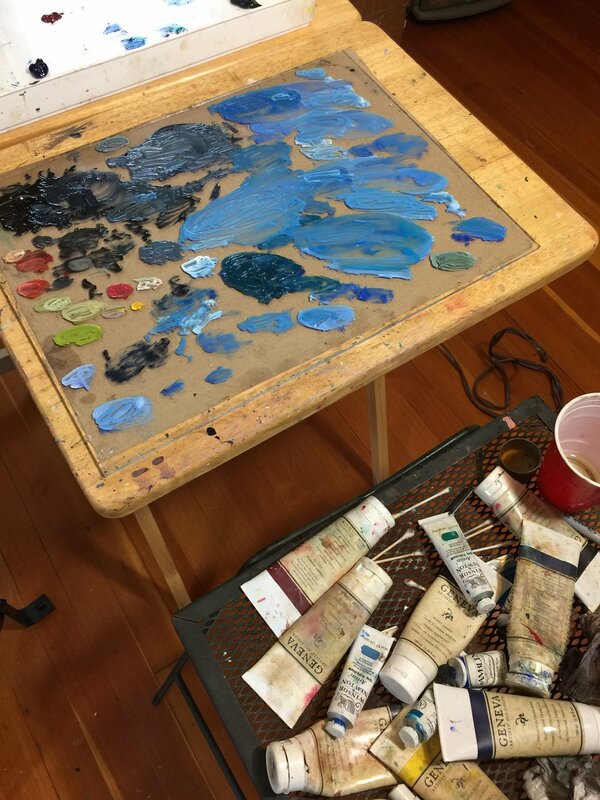 I am hoping to finish this painting by mid December. Then lots of drying time. "Dilworth Splash." 18x24 inches. Oil on stretched linen canvas.